The title is a crucial part of blogging. A blog post title decides whether people are going to read your blog post or not. No matter how better content you've written if, you don't have the good and catchy title, it will be difficult for you to attract readers. Also, a good title plays a critical role in search engine optimization which directly relates to the traffic of your blog. Also, write a different title for Social Media Promotion. As if you'll have a catchy title on social media you'll be able to attract more traffic. You can do this using WordPress plugin WP Social WordPress plugin. To do all this, you should have an excellent idea as for a single post you need to think three best title which is not that easy. But nothing to worry. 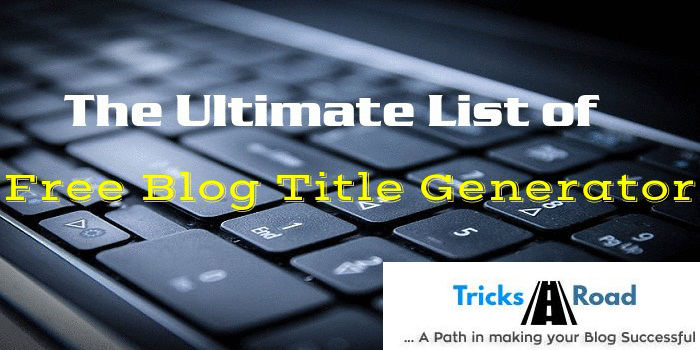 Yes, today I am going to list 5 websites where you can generate best blog post title for free. Let's start with the top free blog post title generator and see their pros and cons. All these Free Blog Post Title Generator have their own pros and cons, but at the end, you can go with any to get your work done for titles. 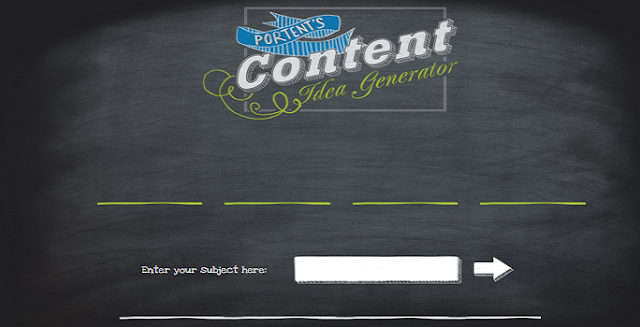 Portent content idea generator is also used to generate the blog post titles but it's a bit different from the other available tool in the market. Once you'll place your keyword the tool will generate you generic title rather than some fix title. It shows you how you should put your title. Like at the end of the result it has Number. This means the number of tools that you will put in your post should be written over there. Also if you don't like the idea, just refresh the button and it will show you another set of suggestion. This is also one of the best blog topic generators. You should try this for sure once. You can select any as per your need. I am sure you must be knowing about the SEO Processor. Yes, that's the same premium WordPress plugin. They have now come up with title generator tool also and it's working great. Just enter your keyword and you can also select the type as a description from drop down. It will display you the list of blog titles. Link Bait is also one of the most famous blog post title generator tool. Just enter the keyword, and you'll get lots of title suggestions. Also, you can select the style if you would like to choose to depend upon certain trends. 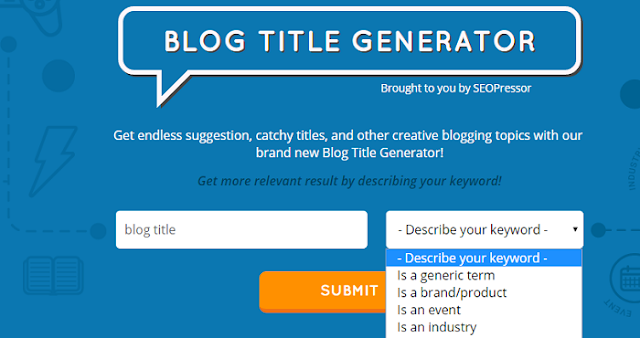 These are some of the best tools for free blog title generator. You can use these to get blog post title ideas anytime. I will suggest you bookmark this post for your further use. I am sure you must be using some tricks to get blog title. Let me know those in comments. Also don't forget to subscribe us to get best tips, tricks and offers directly in your inbox.